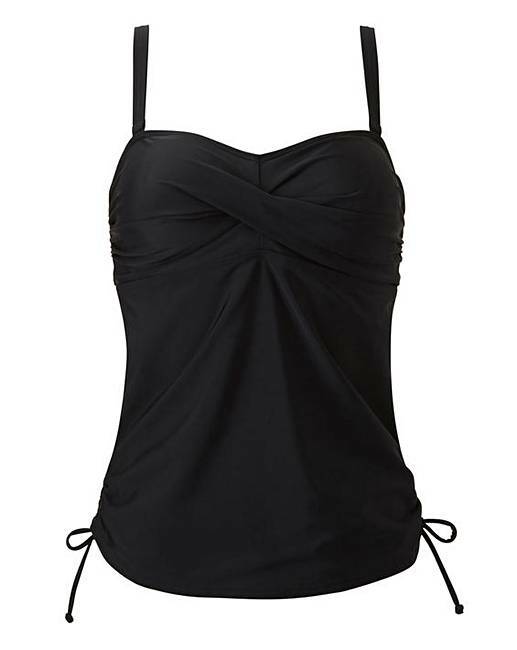 Update your swimwear collection this season with the Magisculpt bandeau twist front tankini top. With a centre back clasp. removable and adjustable straps and adjustable tie sides for a flattering finish. Featuring all -round power mesh technology to shape and sculpt your curves.